An online petition to reunite an El Cajon police canine with his previous handler has gained more than 146,000 signatures, it was reported Friday. Over a period of two and a half years, an Instagram account started by El Cajon police Officer Jordan Walker for Jester, a Belgian Malinois, collected more than 219,000 followers before it was taken down, The San Diego Union-Tribune reported. Earlier this month, Walker announced via the popular account that he would be leaving the department — and Jester, according to the Union-Tribune. A change.org petition was launched Aug. 22 titled “Keep K9 jester with his human!” and had collected more than 146,000 of its goal of 150,000 signatures as of Friday morning. Jester was assigned to a new partner, Officer Randall Gray, and the dog was being housed at the city’s animal shelter until his new handler could build a kennel of his own to house Jester. The two will attend a training academy later this year before hitting the streets, the department told the Union-Tribune. The department did not say whether a kennel has been built at the new handler’s house. “It is not uncommon for strong, healthy police service dogs to be reassigned to a new handler if their current one leaves the K9 Unit because of a promotion, divisional transfer or separation from the department,” the department said in a statement. 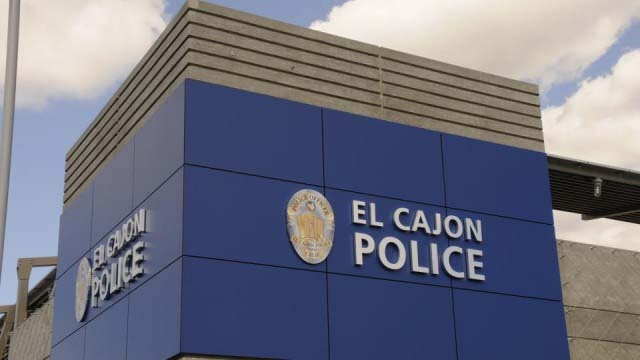 The average retirement age for an El Cajon police canine is 8 to 10 years, the department told the Union-Tribune. Jester is about 5 years old. A GoFundMe account also was created in hopes of raising enough money to buy Jester from the department and replace him with another trained police canine. As of Friday morning, the account had raised a little more than $8,500.